Consumer credit extension has continued at a modest pace, increasing from 4.5% year-on-year in June to 4.8% year-on-year in July. This was underpinned chiefly by a lift in mortgage advances and unsecured lending segments, which together comprise 83.0% of the household credit component, says Investec economist Lara Hodes. Hodes says while household credit growth has been on an upward trajectory, as consumers take advantage of the low interest environment, it remains weak in historical terms. In 2013, for instance, it reached levels between 7% and 10% y/y. Moreover, she says, elevated unemployment rates - coupled with a higher tax burden - have impeded consumers' willingness and ability to spend. 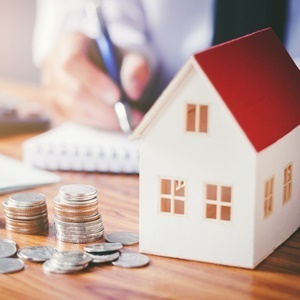 Jacques du Toit, property analyst at Absa Home Loans, told Fin24 on Thursday that growth in the value of outstanding credit balances in the SA household sector was on a rising trend in the first seven months of 2018. These balances amounted to a total of R1 587.5bn at the end of the period, and both secured and unsecured credit balances accelerated further up to July. Growth in outstanding household mortgage balances came to 3.7% y/y at the end of July, from 3.6% y/y at the end of June. It had reached a recent low of 3.1% y/y at the end of March. Outstanding mortgage balances amounted to R944.2bn, with a share of 77.8% in total household secured credit balances and 68.2% in total private sector mortgage balances. According to Du Toit, household credit balances are forecast to show growth of around 4.5% for the full year of 2018, with household mortgage balance growth projected at about 3.5% for the year. This is against the backdrop of trends in, and prospects for, the economy, household finances and consumer confidence, he said. Du Toit told Fin24 there had also been some upward trend in the components of household credit over the past seven months. Although this growth is still fairly slow, it has picked up gradually. "Seen against the background of changes in SA since December last year [with the election of President Cyril Ramaphosa], consumer confidence increased quite sharply in the first quarter. "Even in the second quarter, it was still relatively high," he commented. The SA Reserve Bank's cuts in interest rates in the middle of last year and towards the end of March this year - although the latter was just 25 basis points - was also a factor, albeit a psychological influence, in the upward trend in household credit balance growth. Du Toit said future household credit growth would largely depend on consumer finances, under pressure following an increase in the VAT rate and multiple increases in the fuel price. "There is still a lot of pressure on consumers. These factors will continue to impact credit growth and that is why we believe credit growth will remain well in the single digits for the rest of the year, especially for mortgage advances," he said. From the perspective of lenders - in other words the banking sector - Du Toit said it was obviously good news that credit growth had picked up a bit. However, growth remains relatively low and macroeconomic factors must be considered. "I believe consumers are still cautious and will keep on focusing very strongly on their financial position when considering taking up further credit," said Du Toit. "It all comes down to the affordability of buying a vehicle and of buying a property. The ability and willingness of consumers to take up credit will remain very important going forward." He explained that uptake of credit depended not only on consumer confidence, but also consumers' ability to take up credit, depending on factors like affordability and their credit records. Interest rates were a key factor, he said. Absa's current forecast is that interest rates will remain stable for the rest of the year. No further cuts are expected, due to current inflation patterns. "We expect inflation to average above 5% for the rest of the year. This is what SARB will look at, as well as at exchange rate movements. SARB's rates decisions will reflect the macro-economic background to a large extent," said Du Toit.